Indian Army recently releases Indian Army Group-C recruitment 2014 notification for filling 37 Group-C posts in Indian Army. More details regarding Indian Army recruitment 2014 is available in official website i.e www.davp.nic.in site. Indian Army Group-C recruitment notification 2014 invites applications from the eligible job seekers for filling Indian Army Group-C posts. Aspirants who possess Matriculation, 10+2, who possess Driving License are eligible to apply for Group-C jobs in Indian Army. Applicants whose age above 18 years and below 25 years are eligible to apply for Indian Army Group-C jobs. Job seekers who meet all the requirements as specified below shall read the official notification carefully. Later Interested and eligible job seekers shall apply by downloading application format from official website i.e www.davp.nic.in site duly complete the application in all respects and submit the filled application along with required enclosures to the below provided address before last date. 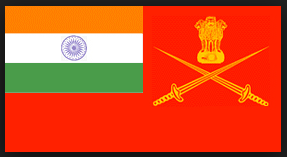 More details regarding Indian Army Recruitment 2014- 37 Group-C posts details is mentioned below. Job seekers who possess 10+2 and who know English typing 35 wpm or Hindi Typing 30 wpm are eligible to apply for LDC jobs. Job Hunters who possess Civil Driving License for Heavy Vehicles and who finish Matriculation are eligible to apply for Civilian Motor Driver posts. Aspirants who possess Matriculation and have knowledge of Indian Cooking are eligible to apply for Cook posts. Aspirants who possess Matriculation are eligible to apply for Camp Guard, Cleaner, Safaiwala posts. Applicants whose age above 18 years and below 27 years are eligible to apply for Civilian Motor Driver posts. Applicants who wishes to apply for all the remaining posts shall have age above 18 years and below 25 years are eligible to apply. Interested and eligible candidates who wishes to apply shall apply Offline at official website i.e www.davp.nic.in site i.e aspirants shall download the application format from official website i.e www.davp.nic.in site duly complete the application in all respects and send the application along with required enclosures to the below mentioned address before last date.